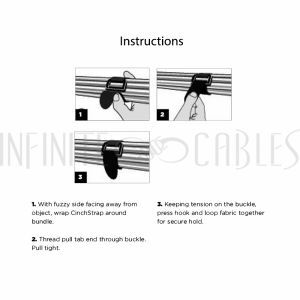 This EconoCinch pulling-eye strap is ideal for bundling and organizing computer and network cables. The loop lock acts like a pulley, giving you leverage to pull the strap as tight as needed. The non-metallic buckle is safe to use around electrical and magnetic equipment. Made in the USA using Velcro® brand hook and loop touch fasteners material. This Light Duty Strap can be used in for organizing and bundling computer and network cables. It can also be used for general purposes such as bundling objects together (ex. 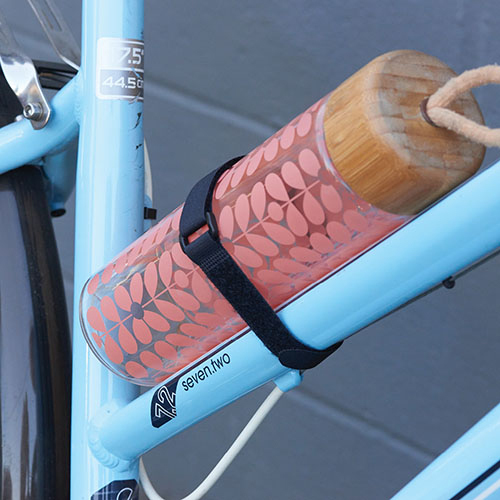 water bottle bundled to bicycle). 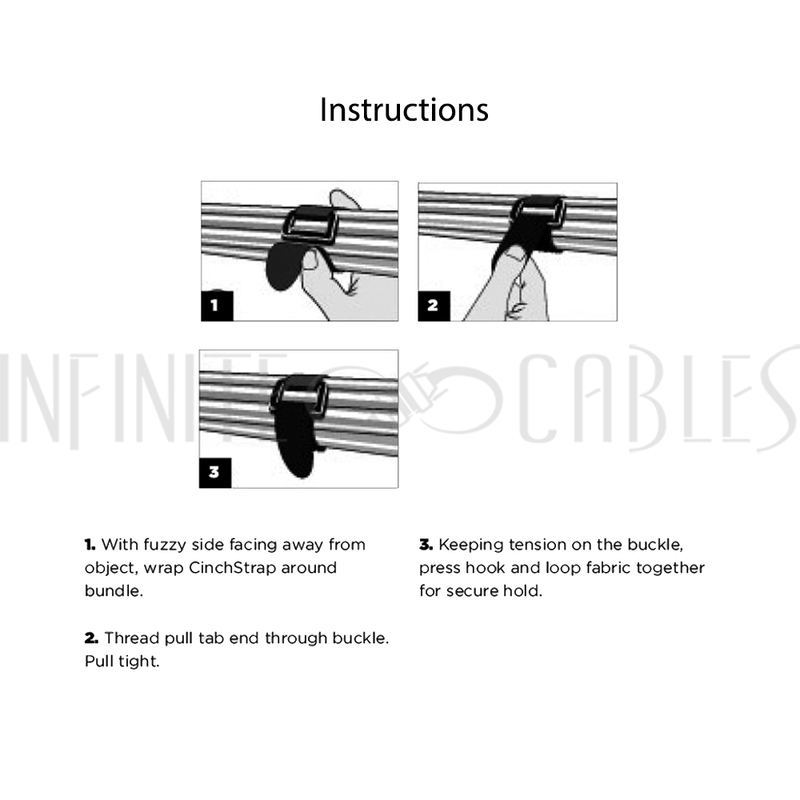 The loop lock can be adjusted - therefore bundling objects together is made easy by tightening or loosening the strap.